Just a short drive from the San Francisco Bay Area, a bachelorette party river trip is a cool and unique alternative to the traditional bachelorette blow out. Options range from fun and relaxed to a high-adrenaline rush! 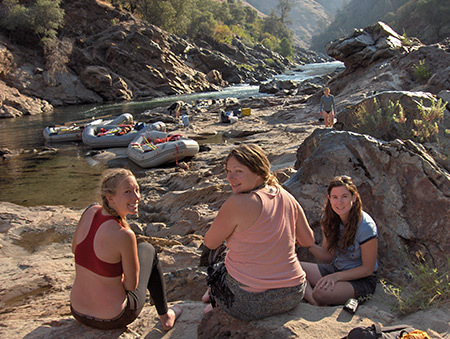 Planning a river trip to celebrate with your girlfriends couldn’t be easier. Just make a reservation, spread the word, and you’re done—we plan the meals, shuttles and equipment. We’ll even throw in a free rafting t-shirt and a disposable camera! If you want to save money, have privacy on your bachelorette party trip, and invite more guests than just your wedding party, check out our Private Charter Trip option. You'll save 24-28% off the regular rate and have the trip to yourself! To learn more, please visit our Private Charter Trips page or contact our reservations office at (800) 247-2387.